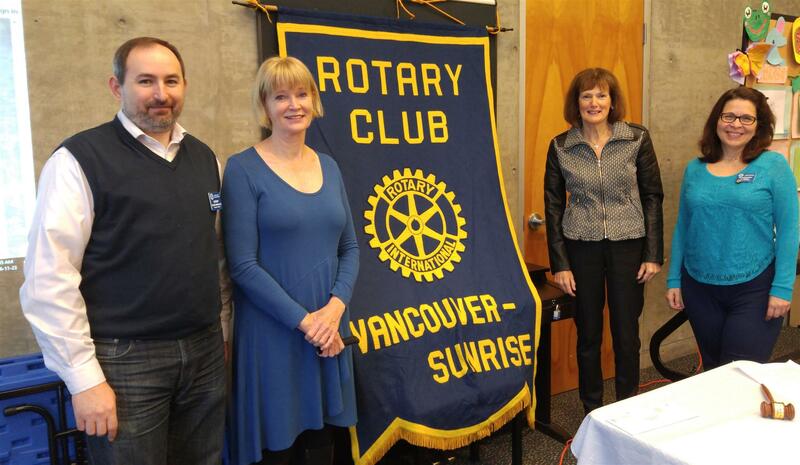 At this Wednesday's meeting, we had 13 members present and our 2 guest speakers: Manion Broadbent and Sally Boschung. The 4-way test was read by John Haley. Buzz Aldrin and many more. Lawrence will be hosting our Christmas party, but he has not received confirmation from most members on whether we are attending or not. Make sure you email him if you plan to go. We're confirmed for our Club Beer Night this Tuesday at the Red Truck Beer Company, 295 E 1st Ave in Vancouver. Please let Cam Scott know if you are coming. Meeting - Our guest speakers today gave us a very interesting presentation about New Zealand's balanced literacy approach. Reading Recovery is an effective early literacy intervention designed to significantly reduce the number of children with literacy difficulties in schools. Reading Recovery provides daily one to one teaching with a specially trained teacher for children making the slowest progress in literacy learning after a year at school. It is supplementary to classroom instruction. Manion, Sally and other teachers went to New Zealand in 2014 to learn about how to implement this program in the Vancouver School Board. They have since founded a non-profit to promote this program in the Lower Mainland. They are looking for a Rotary partner club to apply for a matching grant from the Rotary Foundation.